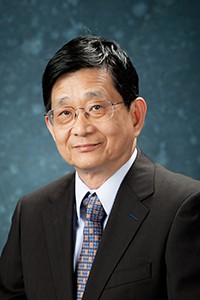 Tony T. Lee received his BSEE degree from National Cheng Kung University, Taiwan in 1971, and his MS and PhD degrees in electrical engineering from Polytechnic University in New York, in 1976 and 1977, respectively. Currently, he is a Professor of Information Engineering at the Chinese University of Hong Kong, and an adjunct Professor of the Institute of Applied Mathematics of Chinese Academy of Science. From 1991 to 1993, he was a Professor of Electrical Engineering at Polytechnic University of New York, Brooklyn, New York. He was with AT&T Bell Laboratories, Holmdel, NJ, from 1977 to 1983, and Bellcore, currently Telcordia Technologies, Morristown, NJ, from 1983 to 1993. He is now serving as an Editor of the IEEE Transactions on Communications, and an area Editor of Journal of Communication Networks.